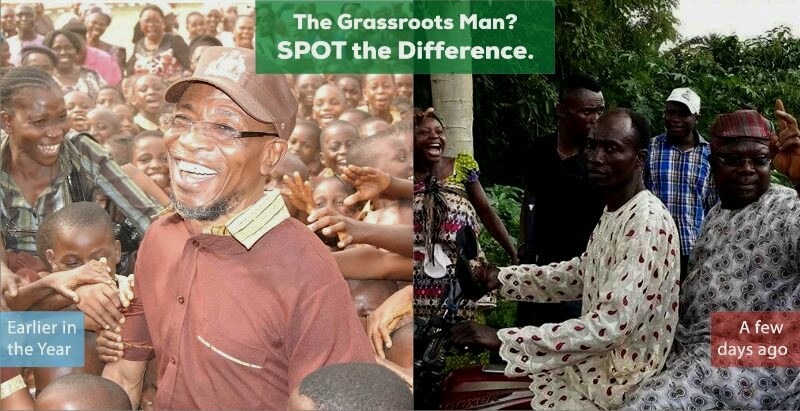 In the absence of election rigging, the incumbent governor of Osun state, Ogbeni Rauf Aregbesola has 4 more years to stay in office. According to the final results compiled from different voting booths, APC has 272,605 while PDP holds 194, 278. Ayedire LGA, APC- 614, PDP- 450 and LP- 50. Ife East LGA, APC – 889, PDP – 755 and LP- 11. Ife North LGA PDP – 2137, APC – 1658 and LP – 87. Ife South LGA APC- 1923, PDP 2117, LP 29. Obokun LGA APC 1940, PDP 1706, LP 20. Osogbo LGA, APC 11367, PDP 3043, LP 254. Stay tuned for the official result from INEC. congratulation to him but he should remember to serve the people well and equally with no sentiment. Osun state people have shown people readiness for révolution and résistance of tyranny as being prepared by This Jonathan les government. GEJ should ne aware and careful in the use of state force to intimidate the good people of Nigeria. People of Osun have demonstrated their résolve to resist GEJ partisan supervision of élections in Nigeria. People of South West are now ready, Lagos, Ogun, and Oyo are fully ready for the 25,000 soldiers and other Security personnels in their thousands. PDP intimidation tactics has finally come to an end, victory for the people. I am not a member of any political party, neither am i an Osun indigene, but from all accounts, this result is simply a product of three factors: 1. vigilance of the people of osun, 2. neutral caution of inec officials, and 3.the moderation exercised by d security operatives. However,had all these been present in ekiti, Fayose could still have won but not with that wide margin. this is sincerely my observation.